PLDT is definitely not lettin down on making tons of content available in Filipino homes. As we all venture into higher use of data, we all look for quality and HD streaming, but home users want it simple so everyone gets to use it from oldies to the young ones. 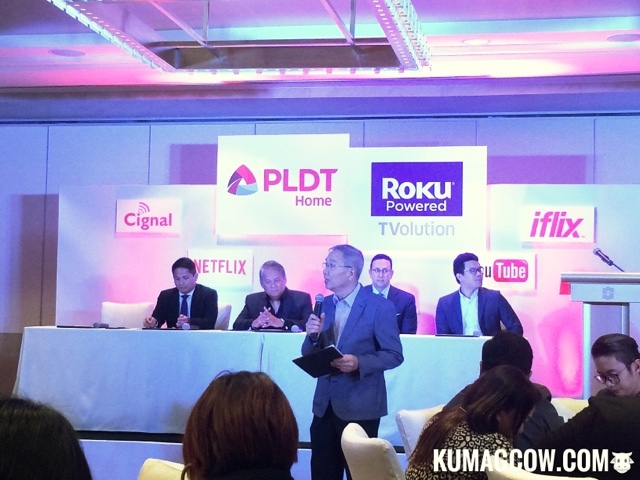 Eric Alberto of PLDT says "As we usher in the new era of digital transformation, we go beyond the digital access by harnessing ROKU, with services that include video on demand, streaming channels to make Filipinos the first in asia to use the ROKU platform. This is the number 1 top up box in the US. We have also transformed cities with fiber connection, and dsl connection hopefully 6 million by 2020. We are the digital enabler of this nation and we hope our subscribers continue to patronize us as we service the Filipino people." RenRen Reyes Head of PLDT Home Operations adds "In September last year we put up smart home services and now thanks to ROKU we will be having them in the Filipino home. Now families can stream everything on their TV's, as we partner with content and digital providers. Filipinos love digital content, it's different today as we use separate devices, hopefully to put it in one box plus use the world class internet of PLDT. This starts Family entertainment for Filipinos nationwide. 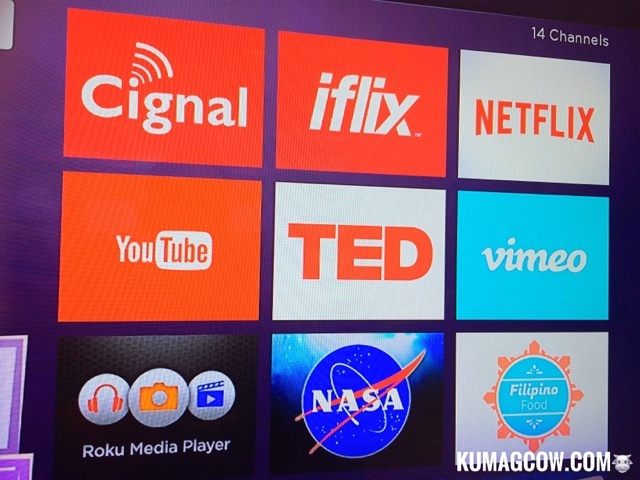 With only one box, you can get Cignal, Netflix, iFlix, Youtube and more channels in the future." Brandon Amber of Roku says "Roku has pioneered this in 2008, and with more than 14 Million active accounts, we will give you more control, so you can watch everything in your terms. 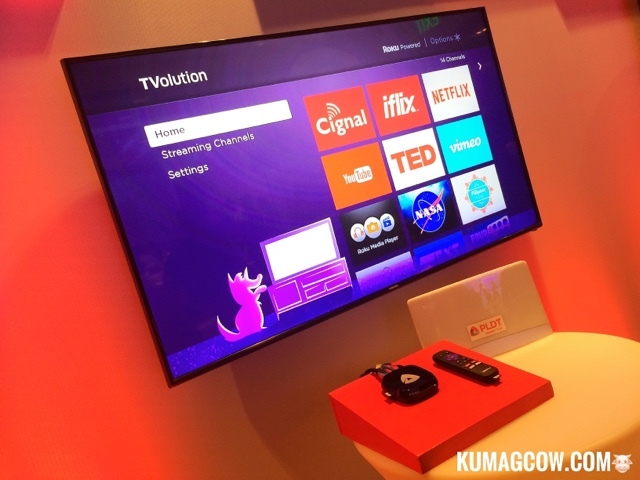 The ROKU powered TVolution Box, Filipinos can enjoy all the content and we know you will enjoy it. There will be different apps you will also be seein in the next months/years. 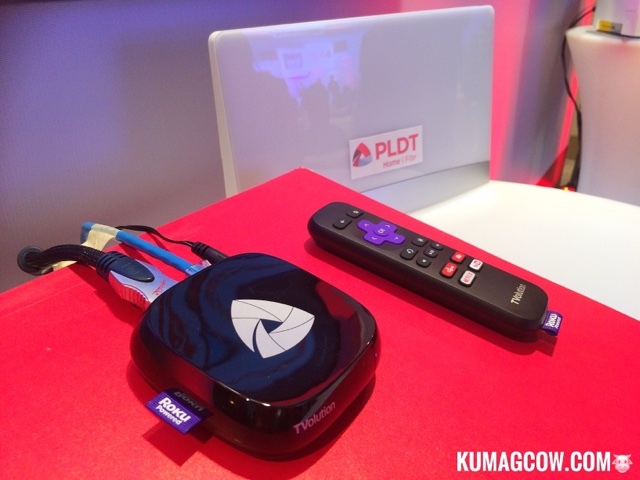 It works on low bandwidth and PLDT has plans which can be used on your requirements." iFlix GM Sherwin dela Cruz says "We are optimistic that with this partnership with PLDT we are going to have more susbscribers. 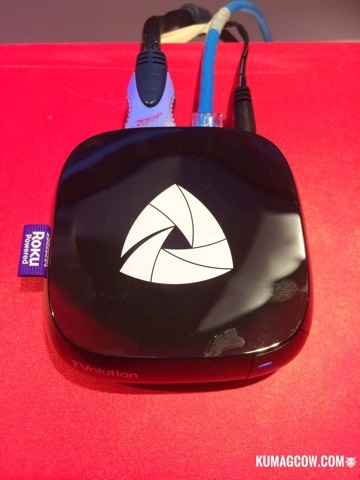 We are free on the ROKU TVolution box and that would mean we would have more reach. iFlix is enjoyed by PLDT Home subscribers and this is just one avenue where they can get us. You'll have an even greater experience with iFlix!" Now more than ever, PLDT is bringing you better content, better quality entertainment right in the comforts of your home. It is available tomorrow on pldthome.com so just get it once you get your fiber connection installed. 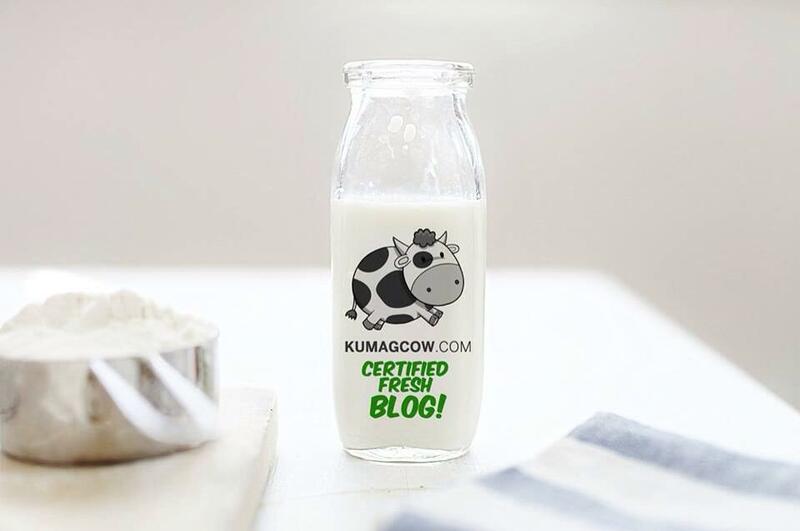 This would be sweet to enjoy with your friends and family.